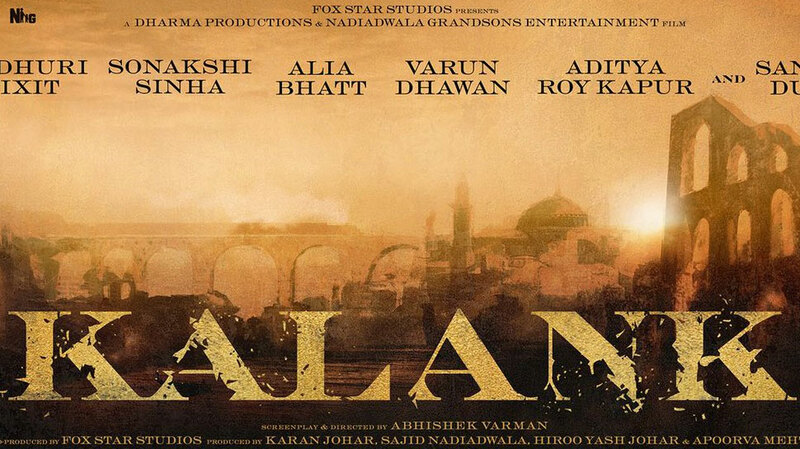 Karan Johar has unveiled the first poster of movie 'Kalank' on social media. Mumbai: After two decades, bollywood diva Madhuri Dixit will seen with Sanjay Dutt in Abhishek Varman directed movie 'Kalank'. Karan Johar took his Twitter Handle and shared the first poster of the film with caption: Proud & excited to announce our EPIC DRAMA #KALANK, Releasing April 19th, 2019, Directed by Abhishek Varman. Including Madhuri and Sanjay, Sonakshi Sinha, Alia Bhatt, Varun Dhawan and Aditya Roy Kapur to be a part of the movie. The Multi casting is creating excitment among the fans for the upcoming teaser for 'Kalank'. The film is slated to hit on screens next year, on 19 April.